I am sure that Ritchie Calder’s intentions were to help the war-effort and to highlight the plight of the working classes but it seemed to me that Calder’s reportage was merely being regurgitated, minus the original context, to direct blame for the tragedy on a lack of organisation and bad planning by the ‘Authorities’. Local evacuees accommodated in a nearby rest centre because of an unexploded bomb were overcrowded and, we were told, were awaiting buses to take them to Essex when the building was hit by a bomb. 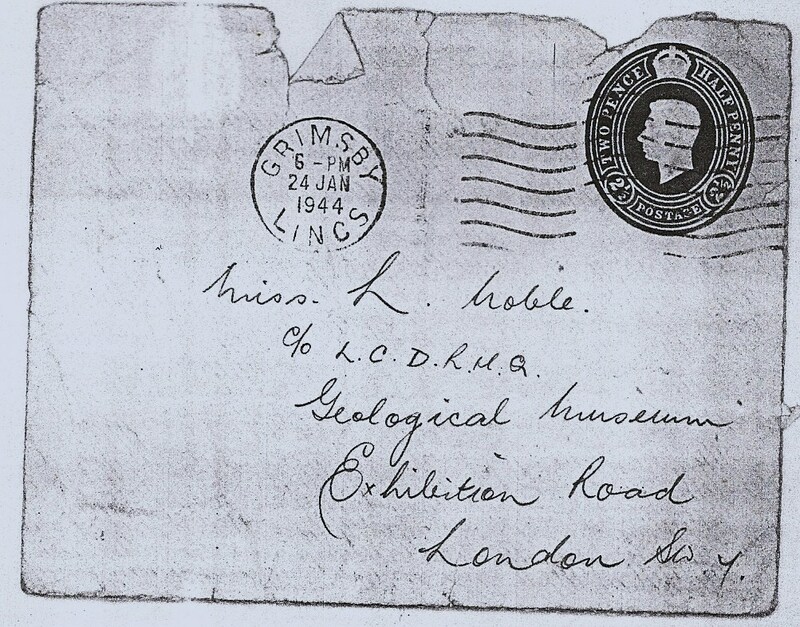 The documentary showed London Civil Defence documents being perused – bomb-maps, reports, communications chits. One of the contributors’ father was an ARP man. But there was no mention of the London Civil Defence organisation! From the first day of the war London Civil Defence had stood ready to administer and co-ordinate the local borough Civil Defence organisations across the Greater London Area. The documentary gave the impression that the East End population had been forgotten or overlooked by ‘the authorities’. The responsibility to enrol volunteers in Metropolitan London was also vested in local Borough Councils. However, volunteer numbers did not meet targets as citizens were not keen to be in it. To infer that the citizens of the East End had been forgotten or overlooked is untrue – to suggest that nobody in authority cared was inaccurate and unfair. 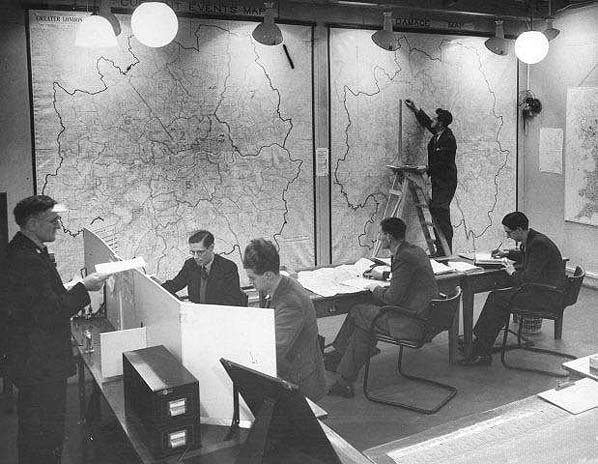 Despite public gripes that the ARP service was surplus to requirements during the ‘phoney war’, constant drills and exercises practised throughout the lead-up to the expected German bombing meant that the ARP, Fire, Ambulance, First Aid, Police and Rescue Services were operationally prepared when the Blitz did come. 7th September was the first night of the blitz – not unexpected, but planned for. This was the first night that London was bombed. Docks, warehouses, factories, houses, ships and even the Thames itself were aflame. Fire services fought the fires, rescue services rescued people, ARP personnel and policemen shepherded people to places of relative safety and directed folks away from the danger of an unexploded bomb and reported what was happening, what they were doing and what help they needed. Amid the chaos and destruction volunteers were doing their very best to bring safety and comfort to their distressed peers. Perhaps the system did not work perfectly on the first night of the Blitz – or on the second day, or that second night. Who knew that the Germans would bomb the same area? Who could foresee that a bomb would fall on the overcrowded rest centre at South Hallsville School – other than Mr Ritchie Calder? Mr Calder had a political axe to grind. It is accepted that his agitating helped to bring about changes in Civil Defence practices, but it is facile to think that the LCD Regional Commissioners and their staff would not have reacted to shortcomings in the organisation of CD thrown up by these first experiences of being bombed. Unfortunately during the first few days of the Blitz West Ham local Civil Defence (not surprisingly) struggled to cope given the intensity of the bombing. It is true that homeless families wandered the streets seeking welfare advice – but the failings in the welfare system were addressed at Governmental Level almost immediately and Special Commissioner Mr Henry Willink MP was appointed on 21st September as the documentary set out. Ritchie Calder disagreed with the measure and immediately set out to ridicule and undermine Mr Willink in his newspaper writings. The powers-that-be reacted swiftly to improve deficiencies in the Civil Defence system found out by the Blitz. The bomb that fell on the Agate Street rest centre exploded there because of inaccurate or indiscriminate bombing. The documentary sought to infer that the tragedy resulted from CD omission or incompetence – unfairly. By 11th September 1940 there were 16,000 homeless people sheltering in London’s Food and Rest Centres. The official death toll in the South Hallsville School Rest Centre was 73, although at the time a figure of 450 had been rumoured. By 25th September the homeless figure had risen to 25,590, which by 7th October had been reduced to 10,500 as local Authorities billeted them (the official boarding or lodging of a homeless family on a householder) in alternative accommodation to eventually be re-housed – a monumental task. I believe this was one of the functions of cousin Jim Ives’s department at LCDRHQ. It seems that the documentary perpetuated Ritchie Calder’s political and sensationalist leanings without providing any context to the tragic bombing of South Hallsville School on only the second day of the Blitz, proper. The local Civil Defence services were unable to cope with the sustained, and until the day before, not unexpected but not unplanned-for aerial bombing attacks by the German Air Force – sadly the authorities had more on their plate than the single UXB at 8 Martindale Road. and wartime Governments and the Civil Defence Organisations. Thankfully bombs contained high explosives or incendiary material rather than gas – but surely it had been sensible to issue gas-masks rather than to ensure everyone had a blanket! Civil Defence organisations across the country were manned by keen young women and men, many of whom had left school the previous September. 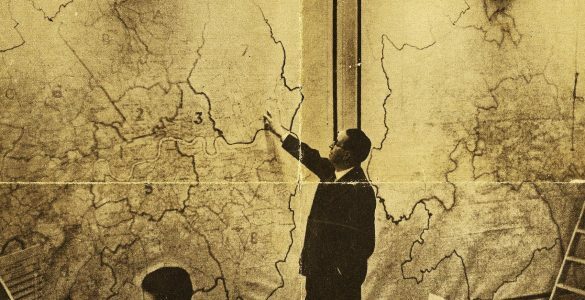 Energetic and responsible youngsters were at the heart of London Civil Defence Regional HQ plotting air-raids and co-ordinating rescue and fire-services to react to the indiscriminate bombing of the capital. Unfortunate that the Calders ignored the efforts of all levels of Civil Defence personnel. Then and now, it is very easy to be critical when you carry no responsibility. I find it very strange that it is near enough impossible to find anything that Calder wrote regarding the death of those school children. I say, near enough impossible in the hope that someone may say where such publications can be found.